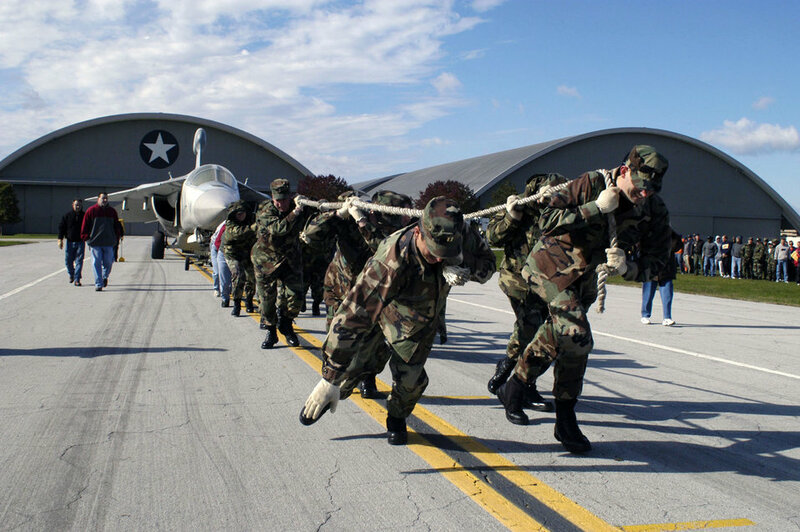 A team begins to pull a 60,000 pound EF-111 Raven during the 2006 CFC Aircraft Pull Oct. 12 at the National Museum of the U.S. Air Force at Wright-Patterson Air Force Base, Ohio. Teams pull the aircraft as far as they can in 45 seconds. The team pulling the aircraft the greatest distance is the winner. Team entry fees are donated to the CFC.